Homefront fans patiently waiting for a sequel to be announced will be pleased to know that leaked artwork has been published this week which provides an indication that a new Homefront 2 sequel is in development. 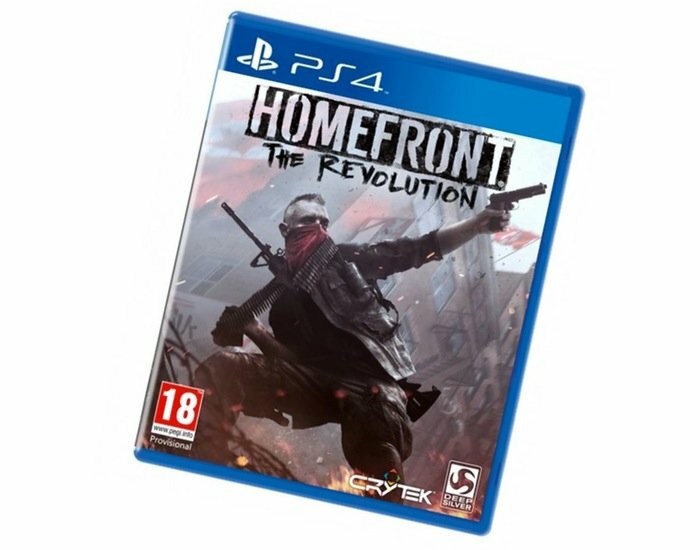 The new Homefront 2 game is expected to be called Homefront The Revolution if the leaked artwork is to be believed and will be launching on the next-generation Sony PlayStation 4 games console with an 18 rating. Built using the CryEngine and offering an open-world first-person shooter (FPS) video game, with a focus on guerrilla warfare and optional online co-op for up to four players. The new Homefront 2 The Revolution artwork was discovered by the Swedish site FZ and published online this week revealing that fans may be able to expect a new game to launch sometime later this year or early in 2015. The original Homefront game was published by the now-defunct THQ which unfortunately crashed and burned. Allowing Crytek to then the Homefront game rights for $544,000 after THQ went under. Crytek UK has now announced that its Homefront sequel, now titled Homefront: The Revolution, will be released next year for PC, PlayStation 4 and Xbox One and well as releasing a trailer for the new Homefront 2 game. For more details on the new Homefront 2 The Revolution game jump over to the Eurogamer website for more details.